There's a reason that Shelby Mustangs, Cobras, and Ford GT's are worth so much today. 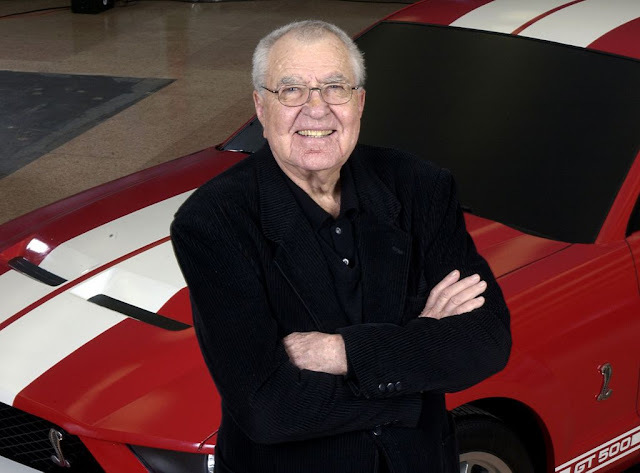 It's because they're not just cars; they're a piece of the legend of Carroll Shelby. One America’s early performance pioneers, Shelby’s reputation has snowballed into that of an otherworldly deity of sorts. A master of self-promotion, Shelby has grown his success on and off the track into a cultural phenomenon. In the 1950s, Shelby was a racer. He was good enough behind the wheel to find success in sports car and open-wheel racing. His crowning achievement as a driver was most likely his 1959 win in the 24 Hours of Le Mans driving a Maserati. But Shelby’s real claim-to-fame came as a car builder. It all started in the early 1960s, when Henry Ford II made it his personal quest to dominate Ferrari on the racetrack. Ford tried unsuccessfully to purchase Ferrari, and the negotiations between Ford II and the dictatorial Enzo Ferrari fueled a fierce rivalry. 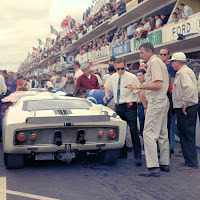 The Ford GT40, which competed against Ferrari at Le Mans, was a trouble-prone machine with plenty of hidden potential. Early on, Ford could not beat Ferrari, despite their best efforts. But when Carroll Shelby was hired to iron out the kinks, things changed dramatically. 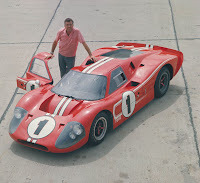 To Ford’s delight, Shelby transformed the GT40 into one of the most formidable machines ever to hit a race track, virtually obliterating the competition from 1966 to 1969. 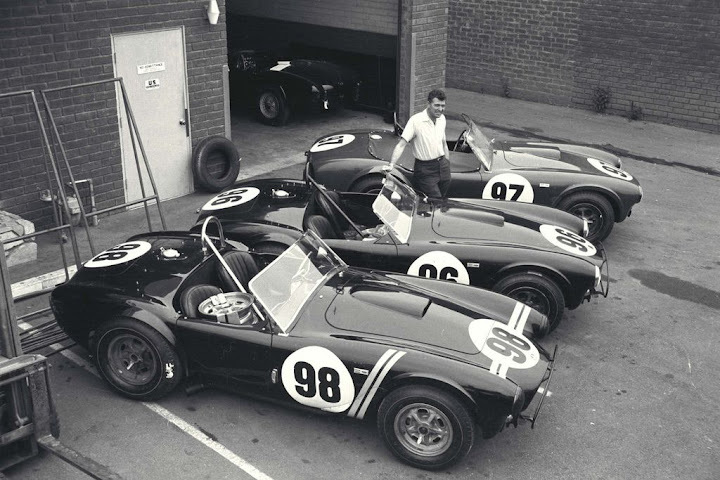 Meanwhile, Shelby was working on the car that would seal his name in racing lore—the Cobra. Shelby wanted to build a car that would be competitive with Corvettes and Ferraris in the GT III class of the FIA. A small two-seater built by the English company AC Cars, became the target of Shelby’s ambitions. AC had lost the contract to put the modest six-cylinder engine built by Bristol into their little sports cars, so Shelby used this opportunity to use them for his own demented purposes. Ford’s lightweight new 289-c.i. V8 was eventually selected to power the newly named Cobra, and after struggling through a few teething problems, the feather light sledgehammer became a fierce competitor on the track. In 1964, a 427 was fitted into a Cobra racecar, and Cobras eventually won at nearly every significant venue, beating out Ferrari for several championships along the way. All of the success with the GT40 and the Cobra led to the construction Ford-contracted Shelby Mustangs to run in the SCCA B-Production Class, as well as a line of beefed-up Shelby Mustangs for the street. Shelby Mustangs were built up-to the 1969 model year, and these are the cars we typically see during these collector car auctions. In the following years, the Shelby name has been applied to more than just Mustangs. In the 1980s, Chrysler made several cars that had vaulted Shelby performance enhancements. Even the Dodge Viper benefited from Shelby's influence. Shelby American has also made their own cars over the years, including later-model iterations of the 427 Cobra. But in the end, it is Ford’s Pony Car that is still associated with the Shelby name. Even today, Ford’s Shelby GT 500 and GT 500 KR not only have stripes and styling cues that hearken back to the original Shelby Mustangs, but Ford claims that the man himself had a say in some of the performance aspects of the car. The fact that Shelby lived 89 years is almost as amazing as his accomplishments. He had many health problems over the years, and even received a full heart transplant. Shelby remained active to the end, though, even working with Ford Motor Company as a consultant on the latest Mustangs to wear his name. 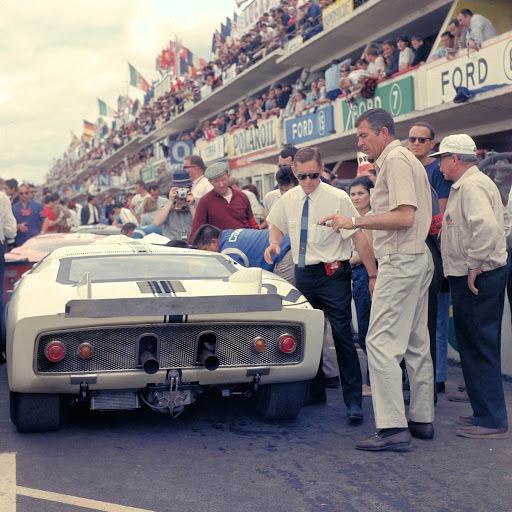 The slideshow below has all kinds of pictures from Shelby's racing and product history. Many are from the Ford Motor Company media archives. You've seen some, maybe not others, but they're all pretty interesting. 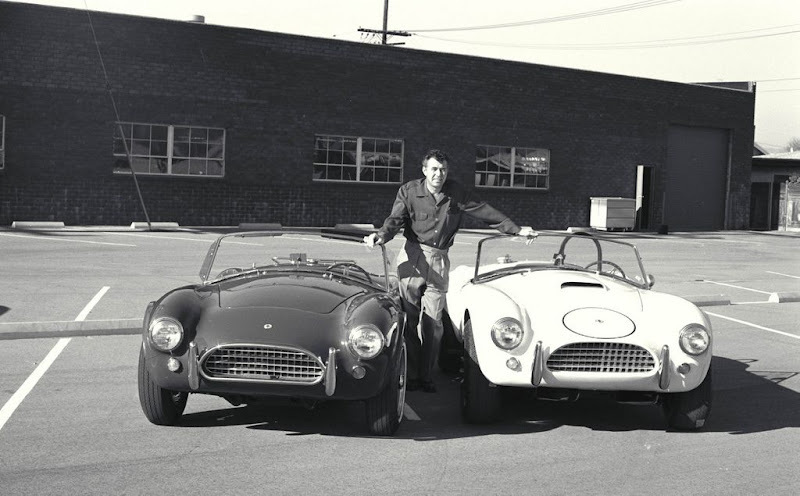 One thing's for sure, Carroll Shelby had posed by many a car in his day. Enjoy. R.I.P. old Shel., your vision lives on. RIP indeed, Mr Shelby. A true character, the likes of which shall not be seen again. A couple of points tho...the 59 LeMans win was in an Aston Martin. [I'm looking at a signed Bill Neale print of the car in action as we speak] The Cobra had a 260 in it at its inception ; the 289 was not introduced until about a year later. Little known factoid - Shelby approached Chevrolet first for engines. Chevrolet [foolishly imho] turned him down. Ford actually approached Shelby looking for a showcase/test bed for their new V8 [the 260] which was to be a competitor to the smallblock Chevy. Shelby's first road race was on an airport course in Okmulgee Oklahoma. Mr Shelby is also partially responsible for the whole 'chili cook off' thing; the first one declared a tie because a masked horseman ran off with the ballots... etc etc.